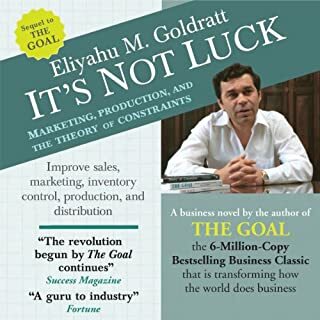 In this intriguing business novel, which illustrates state-of-the-art economic theory, Alex Rogo is a UniCo plant manager whose factory and marriage are failing. To revitalize the plant, he follows piecemeal advice from an elusive former college professor who teaches, for example, that reduction in the efficiency of some plant operations may make the entire operation more productive. 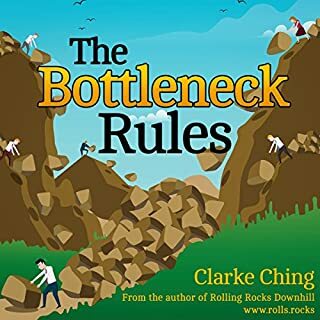 Alex's attempts to find the path to profitability and to engage his employees in the struggle involve the listener; and thankfully the authors' economic models, including a game with matchsticks and bowls, are easy to understand. Although some characters are as anonymous as the goods manufactured in the factory, others ring true. In addition, the tender story of Alex and his wife's separation and reconciliation makes a touching contrast to the rest of the book. 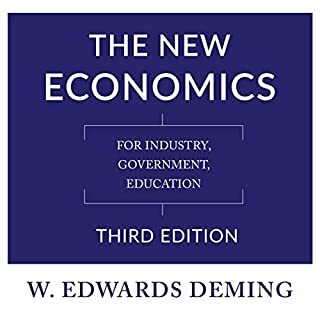 Recommended for anyone with an interest in the state of the American economy. 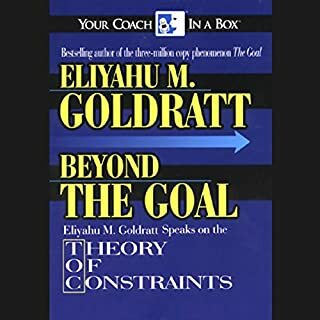 ©1984 Original material © 1984, Revised 1986, 1992, 2004, 2014 Goldratt1 Ltd. "Standing on the Shoulders of Giants" © 2008 Eliyahu M. Goldratt. (P)2014 (p) 2014 Goldratt1 Ltd. This book is a masterpiece. A work of art. 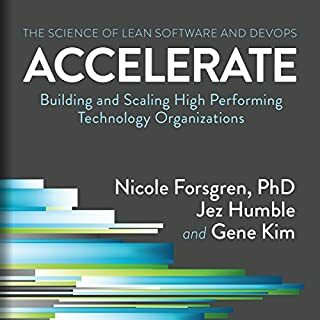 If you have a business with any kind of assembly line it’s a must read. If not it’s a beautifully written story with tension and pace and excitement that will teach you things you didn’t know. 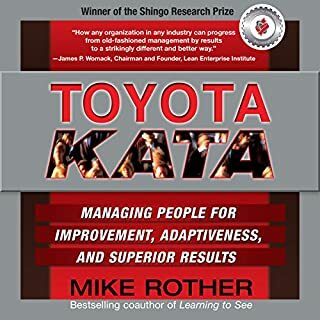 Such as how Toyota overtook theUS car industry in the 80s and how those ideas originated with Henry Ford, whose insights had been forgotten by several generations of managers and accountants who didn’t understand the goal. It doesn't matter your sector, the goal is all about improvement. 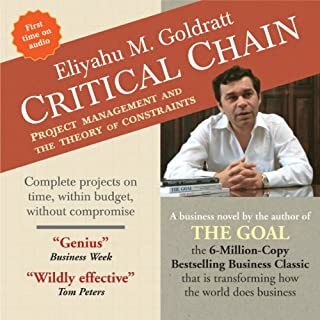 This book brings to life a manufacturing plant and the analysis and changes to make that can be applied to any business. 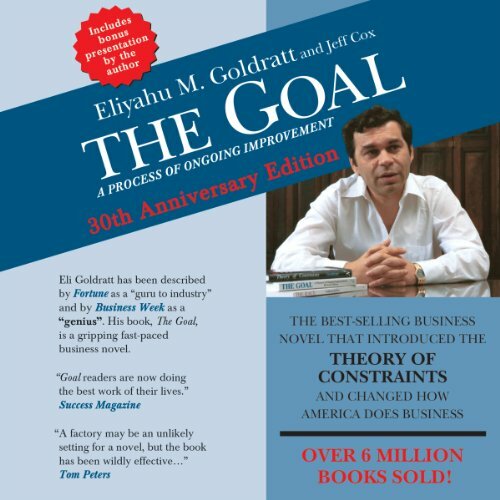 Want to make your business or the business you work for more successful, then understand your goal. Gripping fantastic book masterfully narrated. Great novel from am outstanding mentor. I didn't even realise I was giving it a third listening to. A great step on my long journey, I only wish it was closer to my first. 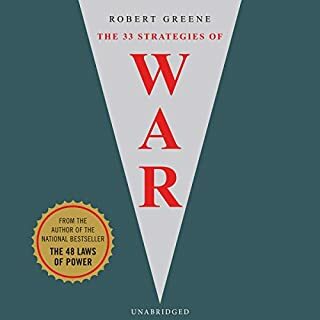 I read this book over 10 years ago and shocked how much i remember. which shows how well its written. This was on an extended reading list for the Operations module of an MBA. If you want to understand the Operations principles this is an essential read and so much better than a text book. Very well written and educational. I have several ideas on how to improve throughput at my company. Very thought provoking, i can't believe how long ago this was written and we're still making these mistakes. Great thinkers rarely bring their subject matter to life so eloquently. This piece of work provokes the reader to think, to work things through and Im pretty sure Ill be listening to it a few more times. really easy to understand. story format made it easier to translate into my daily world. 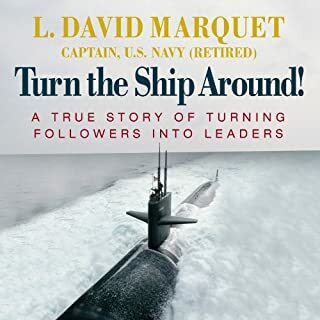 I read this book 20 years ago, and while the story has a lot of remnants from the 1980s that don't translate well to todays modern world, the concepts demonstrated through fixing the broken factory are still true today as they were then. 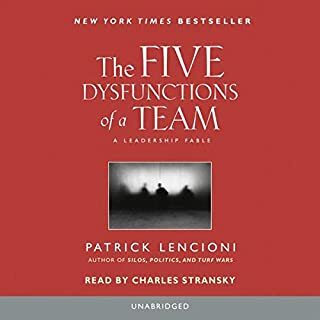 It should be required reading or listening to anyone who works in a leadership position in their careers regardless of the field they work. 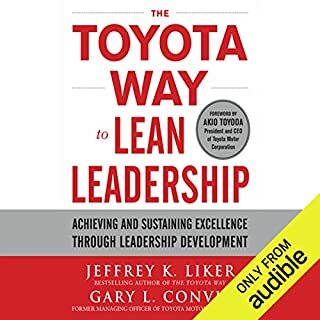 I really enjoyed this book...and I'm not even in the manufacturing industry! I'm working on my own food business right now. I think there's a little something here for everyone who's looking to increase efficiency in a counter intuitive way. Also, I really enjoyed the way the story was told and I appreciate all of the extra effort that went in this audio production. 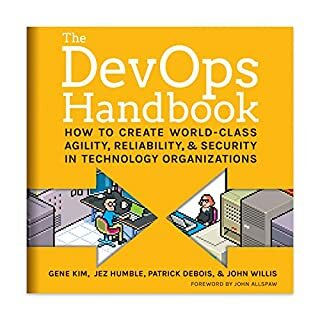 I am an IT manager and I am getting into DevOps. This book came up more than once in my research so I gave it a try even though I am not in fabrication and production. At least, that's what I thought until I listened to this book. 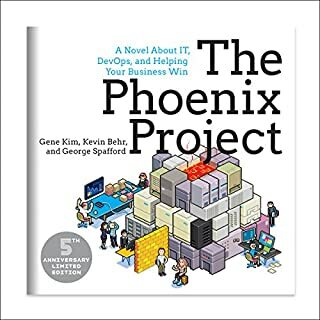 What I love about this book is that the fictional narrative allows the protagonist to "blow-up" his manufacturing plant's way of doing business. Of course, he isn't trying to blow it up, he is just trying to make it perform. 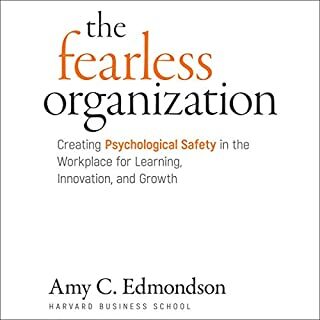 But Goldratt teaches us that some things, some processes we entered the profession with, some metrics that have served us well for years - need to be blown-up and more importantly, replaced with something useful. 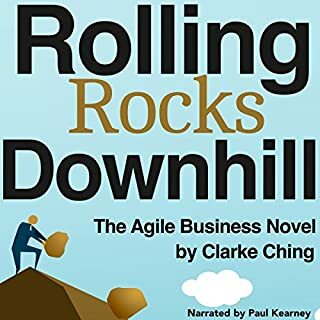 Listen to this book and find out not necessarily what the new metrics should be - but how to discover them for yourself. What a book. The idea of textbook flipped on its head and turned into a narrative. The ideas for the manufacturing plant I think are transferable to many other endeavors. When you ask the question - what is my goal here, and then go through the thought process outlined, amazing things happen. A great author, thinker and contributor to many businesses bottom line. 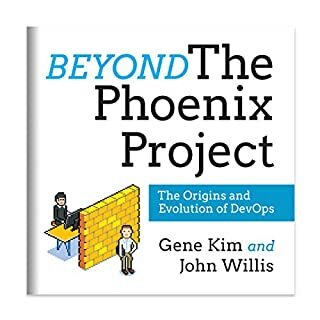 This is a great book on how to look at things from a different direction and pay attention to value drivers you may not be watching. I wished I read it twenty years ago. Outstanding! One of the best I've ever listened to. It was like watching a screenplay with different characters and plot lines, and the lessons are crystal clear. 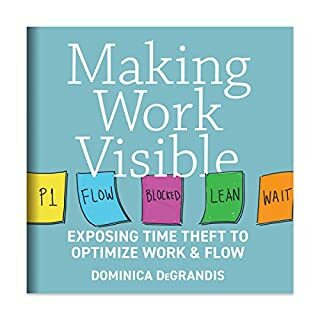 Recommended to anyone interested in understanding the science of Process in any business. 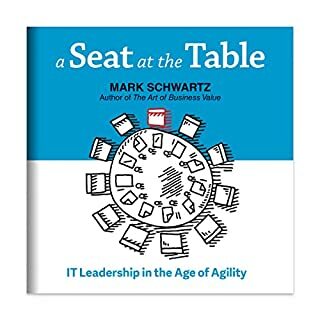 A Must book for executives and business people who want to improve their business acumen. The last hour and a half got rather dense, but this is a phenomenal teaching strategy. Thank you cox & Goldratt!